Trying to explain exactly what Ethereum is and how it works is hard. It’s pretty much the same as trying to explain how TV works – how does the image arrive at the screen? How are the channels arranged? Where does it go when it’s switched off? Or, how the Internet works, or apps…I mean if you’re tech-inclined you might want to know the nitty-gritty, plus you’d be able to understand the explanation without too much trouble – but for some people, ok, most people, first off we just want to know how to switch it on and what it can be used for. 1. It’s an open-source, decentralized computing platform that runs on blockchain technology and facilitates smart contracts. 3. Ethereum has its own token called ether or ETH. Raising funds for a new project using Ethereum means that you can appeal directly for pledges from the community. Parameters for go-ahead are set using smart contracts, so the money that is raised will be available immediately if the funding goal is reached, or returned to each contributor immediately if it isn’t. No middleman taking a cut, no administrative fuss, no ifs no buts. 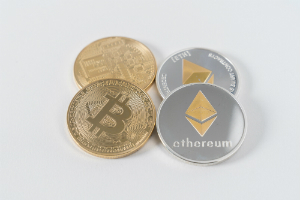 Ethereum was created to broaden the scope of what the blockchain could do (it was agreed it had to be useful for more than cryptocurrencies, but Buterin was the first to create a language that could be used to make that possible). It is built on the blockchain system and allows for smart contracts and DApps to be created. This could replace the way computers and the Internet function. That’s what all the excitement is about. It could take ownership away from monopolies like Facebook, Amazon, Google, Twitter, Uber and Airbnb and replace it with a decentralized ownership where micropayments go to the individuals who use it. So, that’s the idea. It’s a long way off and there are many, many kinks to work out – but that’s the new Utopian dream that may one day become reality, powered by blockchain, facilitated by Ethereum. We love tech transparency and we are looking forward to new ways of doing business that can increase decentralised democracy. To help your business grow, with the Internet 3.0 get in touch.